The Shader is literally everything you’d need for a day on the beach. 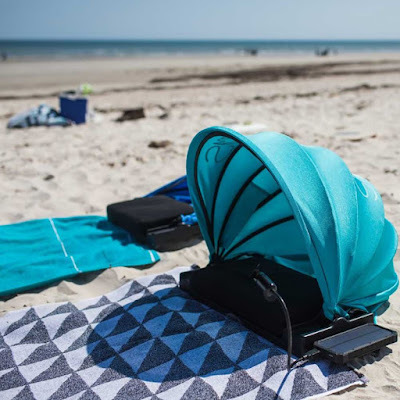 The Shader’s skill set makes it by far the most apt item to carry to the beach because this collapsible product serves as a pillow, sun-shade/umbrella, drink-holder, solar charger, and adjustable fan. The Shader’s premium kit also comes with a solar charger that lets you juice your phone, or even plug a USB fan into, so you’ve got every ounce of easy-breezy comfort on the beach.